For its first assembly plant in the Americas, located near the town of San Jose Chiapa, Puebla State, Audi chose the design and project management services of TransDevelopment. 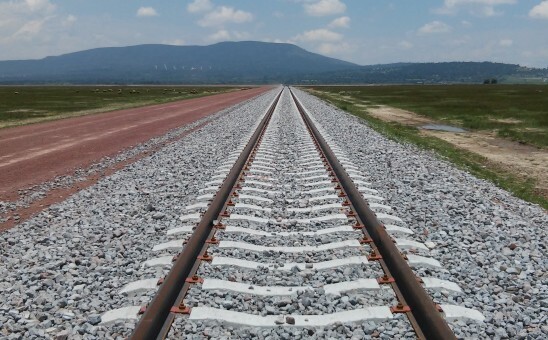 San Jose Chiapa is a strategic location in terms of rail access—in between Mexico City and the Port of Veracruz, a key point of vehicle exports and container imports between Mexico and Europe. TransDevelopment served as planner, engineer, and construction manager for the outbound railroad infrastructure project. The San Jose Chiapa site presents several challenges and opportunities. The assembly plant rail terminal areas are located about 3km from the mainline, requiring an extensive trackwork project both at the mainline and on the assembly plant site. TransDevelopment reviewed the preliminary plans by the first rail consultant and developed an alternative that reduced earthwork needs along the connecting track and yard areas by over 75% while increasing track capacity by 120% without affecting the project budget. In addition, TransDevelopment provided advisory services for the civil design, security, and lighting for the rail infrastructure, as well as conceptual planning and design for the outbound logistics yard. TransDevelopment is serving as rail engineer and construction manager for the rail infrastructure project, which broke ground in early 2014.